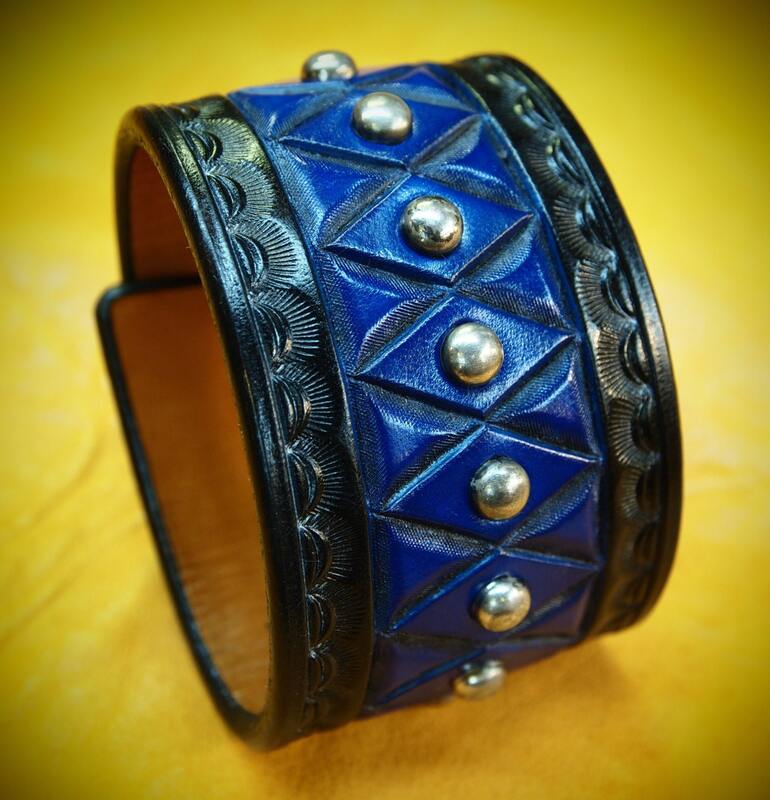 This leather cuff bracelet in Black and blue hand dyed leather uses fine natural veg-tan leather that is lined in smooth calfskin. 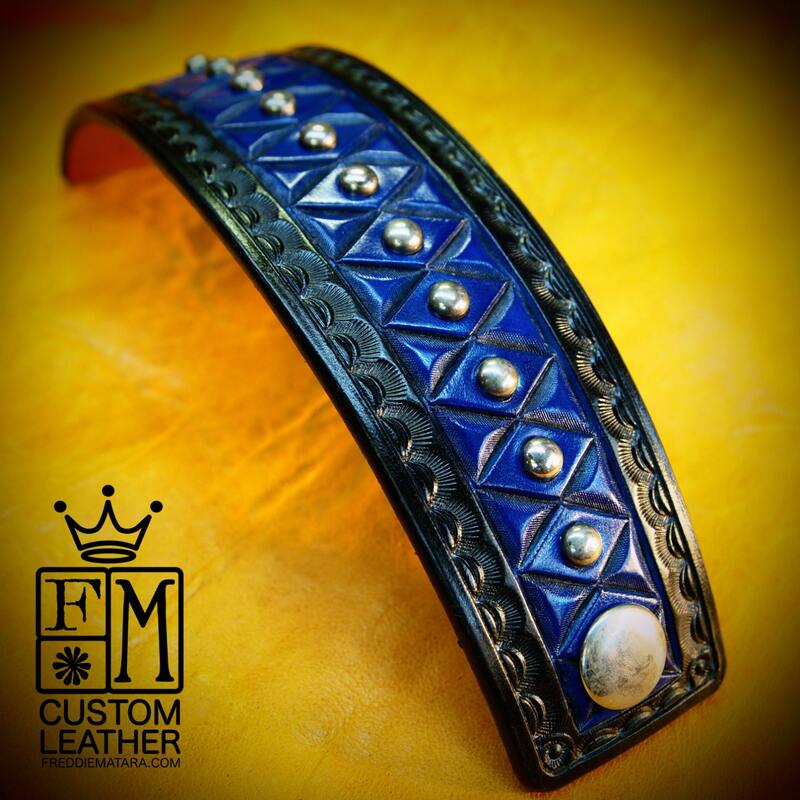 It is Hand tooled in a unique textured diamond pattern and border stamped,scribed,edges burnished and studded with distressed nickel spots. It is 2" at it's widest and tapers down to 1-5/8". 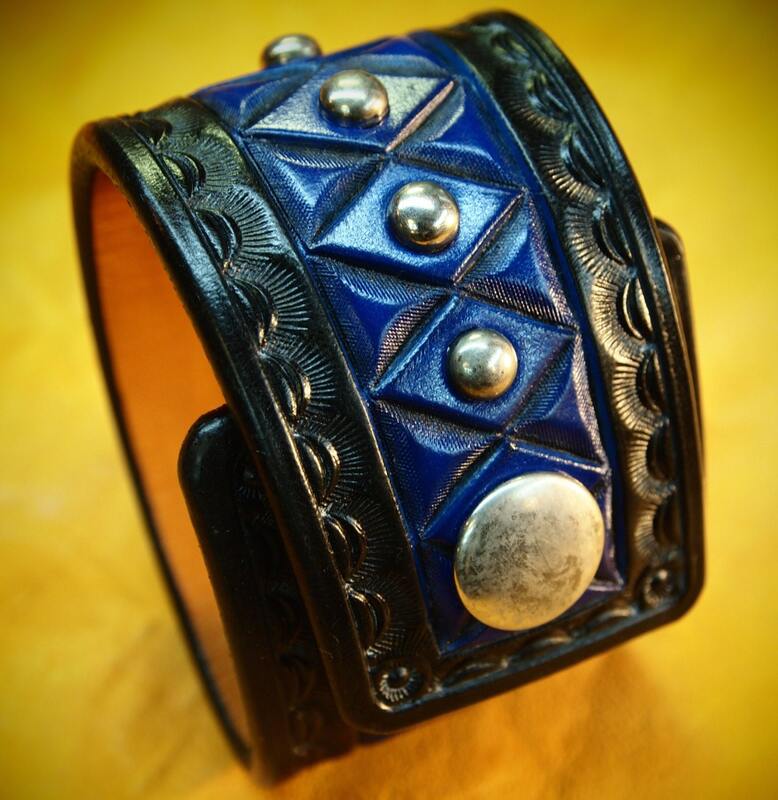 A truly regal cuff that will turn heads! I’ll need your wrist size for this cuff! 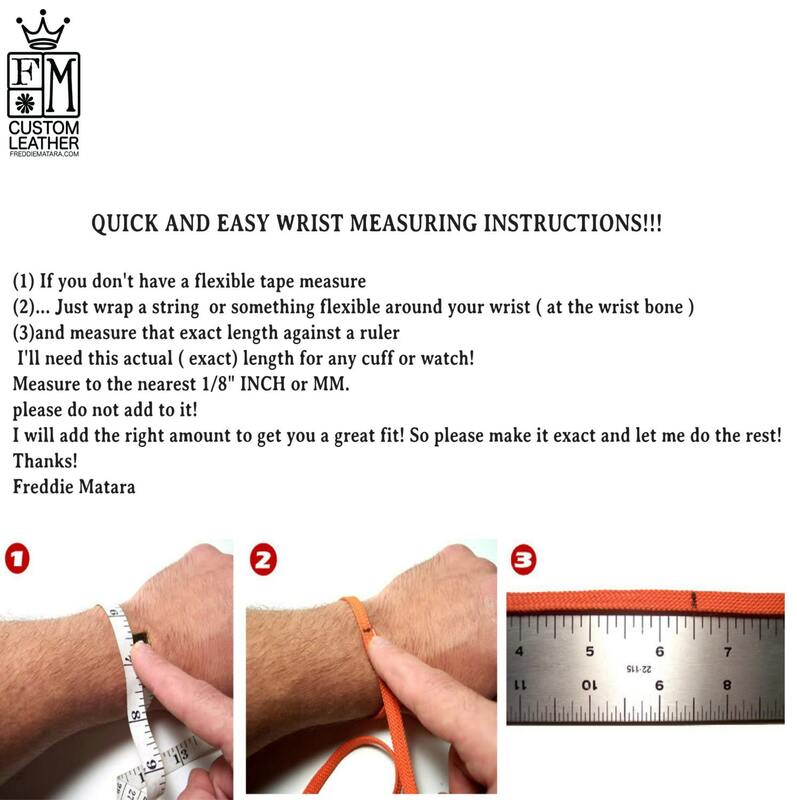 Please use the instructions in the pics above! - 2" wide tapered to 1-5/8"
Paypal and money orders are glady accepted for all purchases! All shipping is done usps first class mail with tracking in the United States and usps first class overseas. Upgrading to faster shipping is charged accordingly. was made on my part. Love this cuff! It arrived fast, it is beautifully crafted & it fit perfectly. Freddie Matara is the leather master!